Admittedly, it’s quite the conundrum. The persistent commitment of Your West Coast Oenophile to launch a full-scale brick & mortar operation has meant resorting to a number of alternative paths for funding Sostevinobile. I began this venture anticipating that I might very well employ the knowledge I accrued to other, tangentially-related wine ventures—consultancies and such—as means to sustain myself should my plans not meet their ambitious target date. These alternative, decidedly ephemeral ventures did not include a return to the Mergers & Acquisitions practice that launch my wine career back in the 1980s, but as I gained a reputation for my pervasive knowledge of the West Coast winery landscape, along with a concomitant impasse with conventional fundraising, I found myself lured back into facilitating these transactions. At least, I was attempting to facilitate these transactions. Much as I had during my previous tenure, I soon found myself feeling like a ping-pong ball perpetually hurtling between the volleys of buyer and seller, all semblance of control over my destiny subject to the precarious whims of the principals at play, a hapless projectile, alas, on the brink of shattering any given moment. But regardless of whether any of these acquisitions consummated, the overarching question remained: should I even involve myself in these matters? Apart from the elusive promise that I might fully fund Sostevinobile in one fell swoop, I still need to weigh the impact of these deals on the welfare of the winery being sought, the impact not only on the quality of its wines but of the welfare of the people who make them. Or, to look at matters in another way, these transactions may be above-board and legitimate, but are they right? A couple of recent developments in the wine realm have raised the red flag for me. 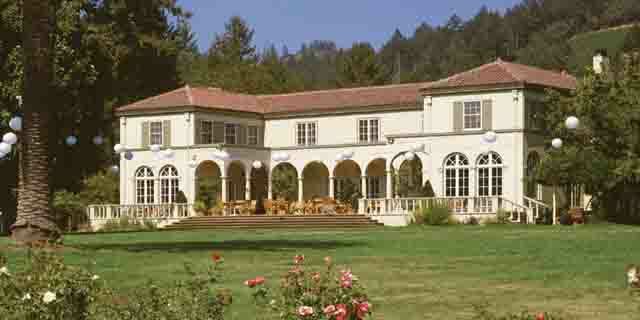 First came the dénouement of Château St. Jean, the storied Kenwood winery that essentially pioneered vineyard-designate wines through its partnership with Robert Young Vineyards. When the Merzoian family first decided to sell this landmark estate, I counseled the Visalia partnership that came second in the frenzied bidding war that ultimately saw Suntory acquiring the property and label for triple its actual value. St. Jean has changed hands several times since, and now is part of behemoth Treasury Wine Estates’ California portfolio. Treasury is currently on a frenetic pace to streamline its US holdings, selling off 12 of its lower-end labels at “book value” just this week, after having unloaded its Paicines winery, along with several small vineyards, a little over a month ago. Sandwiched between these two headlines, however, lay a cautionary tale of acquisition by a major conglomerate. Like its predecessor Diageo, who folded production for its crown jewel (and $180 million acquisition) Rosenblum Cellars in Alameda into its factory-line operations in Oakdale, Treasury recently announced it was terminating wine production at St. Jean and rolling its operations into their larger facility at Beringer. This cost-cutting measure may seem prudent, if not viable, to many, but the autonomy promised St. Jean will surely be but ephemeral. Will the brand be diluted maintaining its core distinction yet subjected to the ignominy of a mid-range, mass-produced Coastal label like BV and Robert Mondavi? Or will it be rendered unrecognizable, losing its traditional identity to corporate directives, as is happening at Viansa? Meanwhile, the recent uproar in Paso Robles could be heard as far away as San Francisco. Storied Cabernet producer Justin had been in the forefront of sustainable winemaking, but was purchased a few years ago by the Resnick family, billionaire producers of Fiji Water, arguably the foremost source of plastic bottle waste on the planet—a disparity putatively as inconceivable as The Donald eloping with Hillary. Following his acquisition on Justin, the Resnicks purchased the 750-acre Hardham Ranch on the southeastern edge of Paso Robles. These fields, historically maintained for grazing and dry farming, were quickly covered by miles of new grapevine plantings, deep wells, and huge lined storage reservoirs (hardly the best & highest use of land in this drought-starved region). But their most recent and greatest transgression was the deforestation of hundreds of oak trees from Justin’s property at 750 Sleepy Farm Road in Paso in order to construct an agricultural reservoir that would have been filled by pumping in 6 million gallons (20 acre-feet) of groundwater. 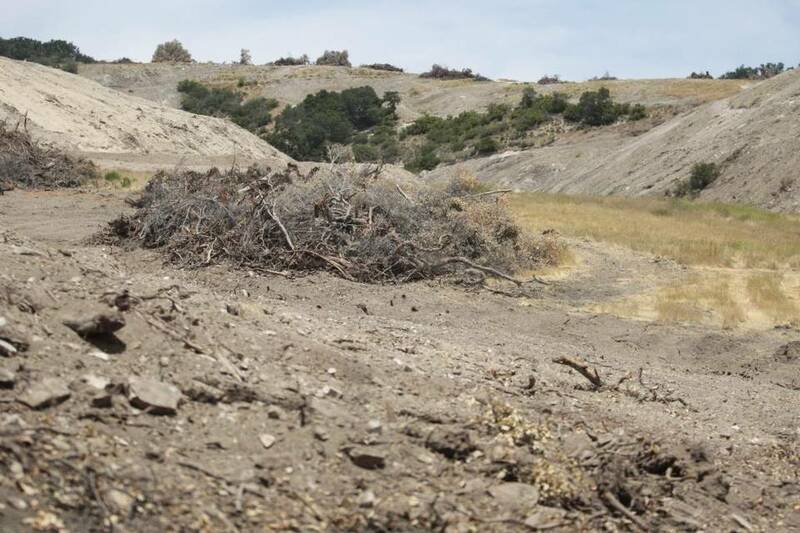 The Resnicks subsequently atoned for this “oversight” by abandoning their reservoir scheme and donating the 380 acre parcel on which this clear-cutting took place, to a Paso Robles land conservancy, but much of the environmental damage has already been incurred. The lesson here for me is equally clear, and I must seriously take into consideration all the potential consequences of my efforts to finance Sostevinobile through winery Mergers & Acquisitions. This entry was posted in Uncategorized and tagged BV, Château St. Jean, Justin, Robert Mondavi, Robert Young Vineyards, Rosenblum, Viansa on July 22, 2016 by donaldmarc.